Laurie Burton is internationally recognized as an innovator helping thousands of people improve their ability to communicate. 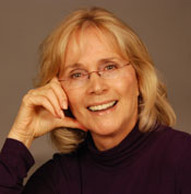 Whether working with individuals in seminars and one-on-one coaching, or with groups in the corporate world, Laurie’s techniques quickly generate measurable results. A 30-year veteran performer of film, television and theater, she draws on a wealth of experience in the ‘art of communication’ to help others break through communication barriers and develop the skills needed to become effective leaders of groups, teams, and businesses. Laurie Burton Training’s clients include Fortune 500 companies such as IBM, Mattel Toys, Digital Equipment, Merrill Lynch, ITT and Twentieth Century Fox. 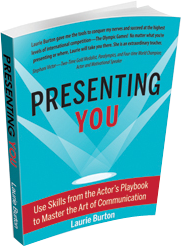 Laurie also served on the faculty at the University of Southern California School of Cinema/Television teaching filmmakers and directors, in both graduate and undergraduate programs, to develop their communication skills for great impact and effectiveness. 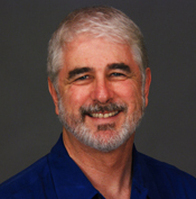 Dan Brumer has been designing, producing, leading and facilitating workshops, seminars, and conferences for over 20 years. He ran a very successful manufacturing business prior to joining Laurie Burton Training as a partner in 1984. Dan has a particularly strong background in intensive workshops, councils, and community-building events, including a year of facilitating councils in classes in the Los Angeles Unified School District. His focus and attention to detail mark him as an excellent producer and facilitator, demonstrating a high level of skill in working with the nuances and subtleties of people making speeches and presentations. His perceptive eye is balanced with a compassionate heart.